Marketers are increasingly prioritizing SEO over other marketing tactics. According to HubSpot, 61% of marketers say improving SEO and growing their organic presence is their top inbound marketing priority. So if you’re not too big on SEO yet, it’s time to jump on the bandwagon like most of your competitors. Having said that, the world of SEO is constantly evolving and ranking on page one of search engine result pages (SERPs) is never easy. It can be overwhelming to keep a track of all the algorithm changes from Google and stay on top of the current search trends. Luckily, there are several tools out there that enable us to work smarter and faster with SEO. To that end, we have created a list of 13 best SEO tools which you can use to boost your marketing efforts. Alternatively, you can also check out Linkio’s comprehensive guide for best SEO Tools for 2018 where they’ve reviewed 170 free and paid tools. 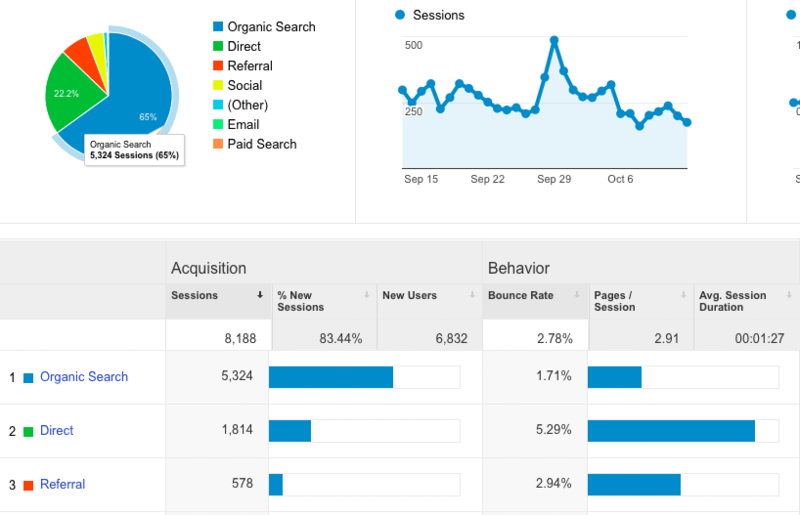 Don’t underestimate the potential of Google Analytics as an SEO tool just because it’s free. No matter what paid SEO tool you prefer to use, using Google Analytics to track your site’s traffic is super important. In addition to tracking pretty much every bit of traffic you could imagine on your website, Analytics also offers vital keyword insights as to which terms people use to land on your pages. Yes, totally! Sign up for your free Google Analytics account by clicking here. To get more value out of this tool, you can use Analytics in parallel with other free Google SEO tools: Keyword Planner and Search Console. SEMrush is a must-have tool if you want to outrank your competition in search engines. Only a few tools offer features that SEMrush does for the price it charges. 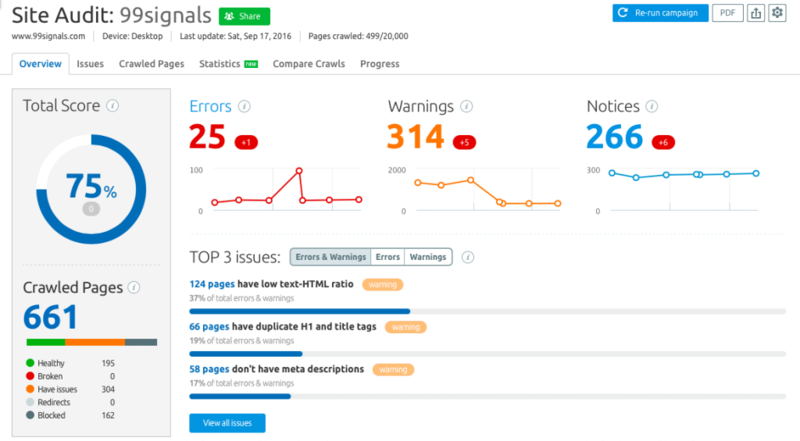 With SEMrush, you can conduct site audits to fix any errors, check out organic and PPC keywords your competition is ranking for, do a backlink audit for your site as well as your competitor’s site, and even receive ideas and recommendations to improve the existing content on your site. It may seem like SEMrush is trying to do one thing too many, but it does almost everything with perfection. No, although there is a free version of SEMrush which allows you to do 3 searches/day and offers a glimpse of the results. If you want maximum value out of this tool, I suggest signing up for their monthly plan which starts from $99.95. If you’ve never tried this tool before, you can sign up for a free 14-day trial here (worth $49.97). After 14 days, your SEMrush account will be downgraded to the free version, limiting your searches and search results. Using this tool, you can master the complex task of keyword research in no time and use the right keywords to drive organic traffic to your website. Not exactly. There is a free plan, but it has major restrictions. If you’d like to leverage this tool to its full potential, then you need to upgrade to one of the paid plans. The paid plans start from $29.90/month (paid annually). On the plus side, you get four tools for the price of one as KWFinder is part of the Mangools product suite which also includes SERPChecker (Competitor analysis tool), SERPWatcher (Rank tracking tool), and LinkMiner (Backlink analysis tool). 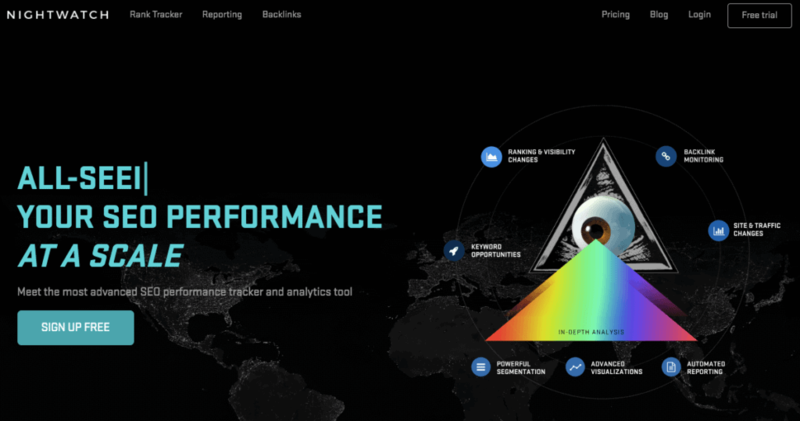 Nightwatch is an advanced SEO performance tracker and analytics tool. Nightwatch provides you with an all-in-one control dashboard for scaling your company’s search visibility and helps you make smarter decisions for your website or business. In addition to these, you can also compare performance of your average rank of desktop keywords vs mobile keywords. No, but they do offer a 10-day free trial. 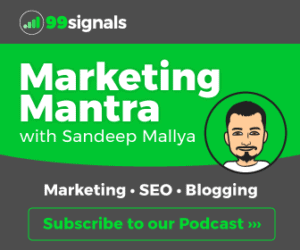 The pricing starts from $19/month where you get full access to all the basic features, unlimited reports, and you can add up to 20 websites for tracking and analysis. If you want to build high-quality backlinks for your site, you need to take blogger outreach very seriously. 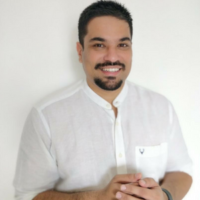 Ninja Outreach is a blogger outreach tool that helps you find and connect with top influencers in your niche and launch successful influencer marketing campaigns. No. The pricing starts from $52/month (billed yearly). Right now, they are offering a free 14-day trial to their platform. Click here to start your Ninja Outreach trial. Keyword Tool is a nifty tool to generate keyword ideas from one keyword. Simply enter a keyword in the Keyword Tool search box to unravel a huge list of long-tail keyword opportunities. You can also use this tool to unearth LSI keywords to boost your content’s SEO. Click here to learn more about Latent Semantic Keywords (LSI) and their impact on SEO. The basic version is free, but if you want a more advanced version (called Keyword Tool Pro), then you need to pay a monthly fee of $48. My advise is to stick to the free version as it allows you to get 750+ keyword suggestion and there no restrictions on the number of searches you can give in a day. Title tag is a critical on-page component which Your article headline can make or break your article. A good headline boosts CTR, and thereby improves your site’s SEO. CoSchedule’s Headline Analyzer analyses your blog post’s headline by assigning scores to its overall quality and rates its ability to result in social shares, increased traffic, and SEO value. Yes! It’s one of the best free SEO tools on the market. The alternative to Headline Analyzer is Brian Dean’s YoRocket WordPress plugin for which you have to pay $29/month. That’s too much money for the same functionality and features offered by this free tool. Content duplication can lead to serious consequences and hurt your SEO score in the long run. 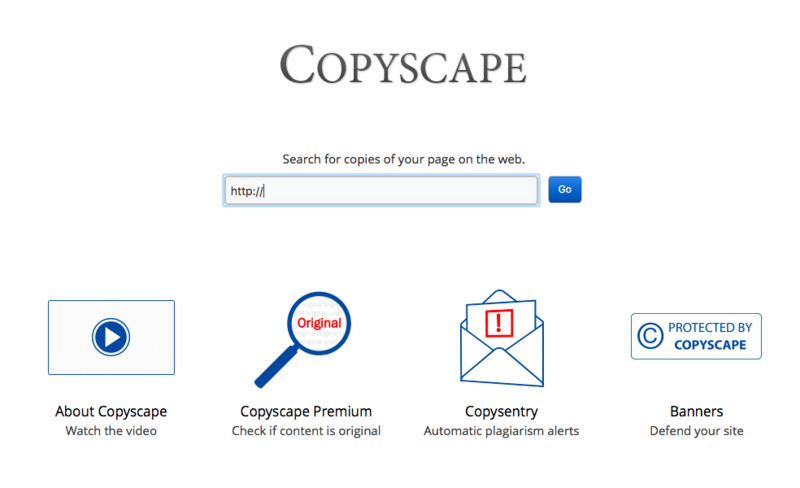 Copyscape promises to be the most powerful plagiarism search engine on the web. You just need to enter the URL of your content and let the tool find out if there are any duplicates of it floating around on the web. Yes, the basic version is free. They’ve a few paid plans, but I’d suggest you stick to the free version. 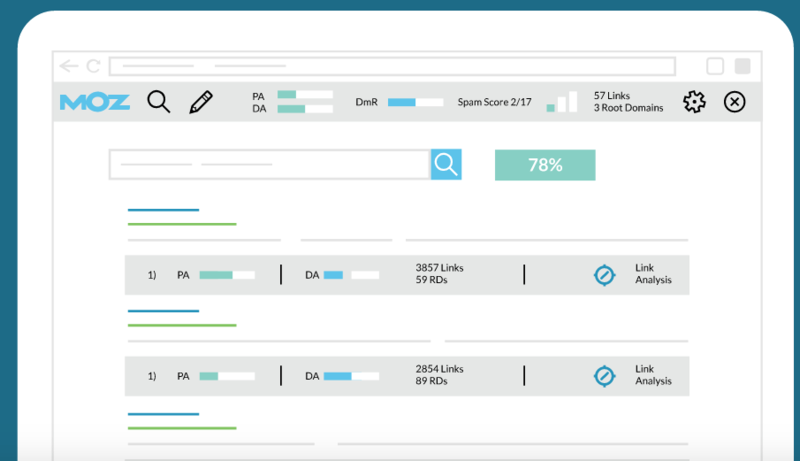 By installing this free chrome extension, you can quickly see the page authority (PA) and domain authority (DA) of the pages to assess the competition. Yes. Download the Chrome Browser Extension from here. Ahrefs is the best backlink research and audit tool on the market. With Ahrefs, you can check the number of backlinks your site has, the number of referring domains for your site, your competitors’ backlinks, find organic keywords your site is ranking for, and much more. Nope! Ahrefs used to offer a free 14-day trial, but now they offer a 7-day trial for $7 which is a huge bummer. This is because the 14-day trial truly showed you what this excellent tool is capable of. The monthly plan for Ahrefs starts from $99/month. Browsea is an invaluable SEO tool which shows your site the way search spiders see it. This particular view is helpful to see the hierarchy you’ve given to particular elements on your site (without even realizing it!). Yes. 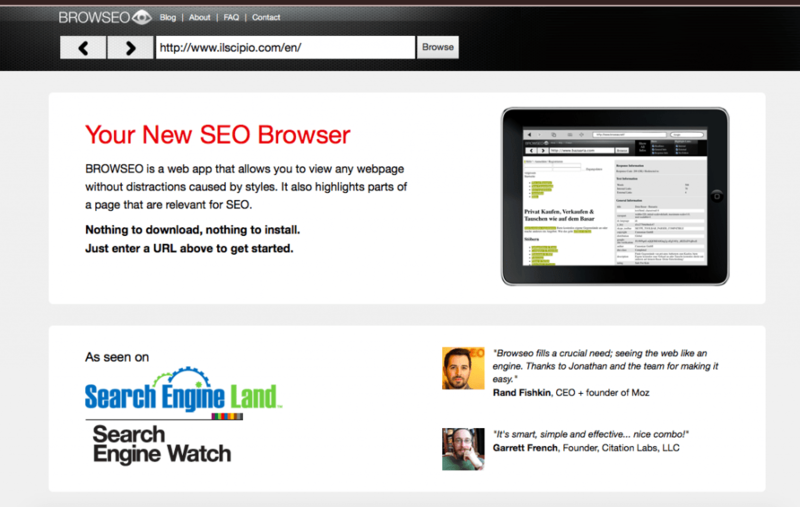 Click here to get started with Browseo. Long Tail Pro is a powerful keyword research tool which is trusted by many professional bloggers. 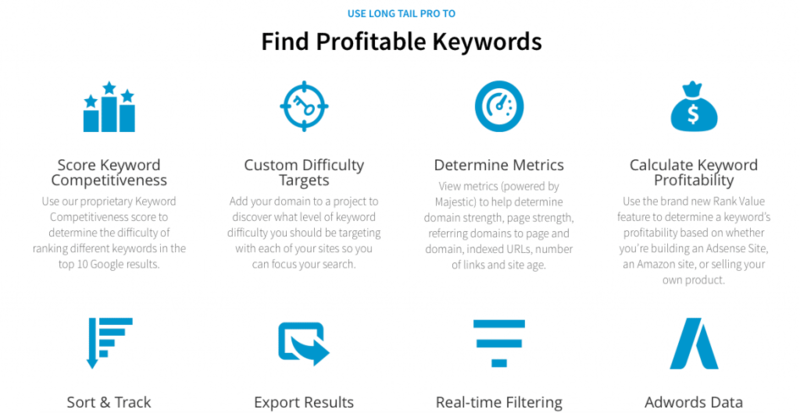 Long Tail Pro allows you to find high-traffic keywords with low competition. Using this tool, you can find profitable keywords in competitive niches, do keyword research, and analyze the top ten results for any keyword in your niche. No, but they offer a 7-day free trial. Their monthly plans start from $25/month (billed annually). Exclusive offer: Use Code ’99SIGNALS’ to get 30% off on Long Tail Pro! GTMetrix is a free SEO tool which measures your site’s speed and provides actionable tips to speed up your website. The report extracted from GTMetrix gives you a complete picture of how your site loads and helps you fix technical SEO issues. It’s an excellent tool to test the performance of your website and all the essential features of GTMetrix are completely free. Yes. Get started by clicking here. So these are some of the best SEO tools which can truly help you with your marketing efforts. 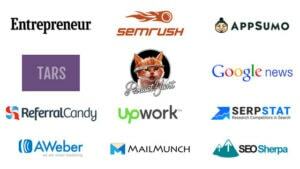 Which SEO tool is your favorite? Let me know in the comments section. Editor’s Note: This article was originally published on October 14, 2016 and has been updated frequently since then for freshness, accuracy, and comprehensiveness. SemRush is hands down a great sEO tool. I never used paid version but have been reading that they have great features. The problem with most SEO tools is that they are mostly paid. Free version is very limited. There are many free seo tools such as from link-assistant, its good and it has free version. No matter what seo tool one uses, if blog doesn’t have quality content then that blog isn’t going to rank good in any search engines. Bing is starting to pick up speed and has improved its algorithm but still hasn’t in parallel pace with Google. To get faster and better results in SERP’s, SEO tools can help your blog outrank your competitors in short period of time. Understanding your traffic is most important, you have to serve your their needs. Wow great list. Add 3 service to my list. Thank you for useful info. This is a massive list of plugins. I found another tool which is also very good, SEOPROFILER. One can explore many things with a free account as well. Many thanks for sharing this guide, Sandeep. hello Sandeep. i am really a keen reader of your blog and your blog inspired me to start my own blog. currently i am facing troubles getting traffic on my site. this will be solved. No worries. on behalf of the world thanking you for creating 99signals. 🙂 Cheers! Hey Vikas – That’s so nice to hear. 🙂 Thank you so much for your kind words. W.r.t traffic, just hang in there and keep creating great content on a regular basis. Follow the SEO basics and leverage social media channels until you improve your search rankings. And focus on creating relevant backlinks for your site through blogger outreach. You’ll eventually get there. Sandeep Mallya, thank you for sharing this post. All these tools you have shared here are already very popular among the webmasters. It is possible to use these tools and rank well on search engines by implementing the right strategies. A very well written post and you have shared some important facts about the tools too.